Since I’ve taken up knitting these past few days my dog Daisy has decided I’m boring and whines at me constantly. 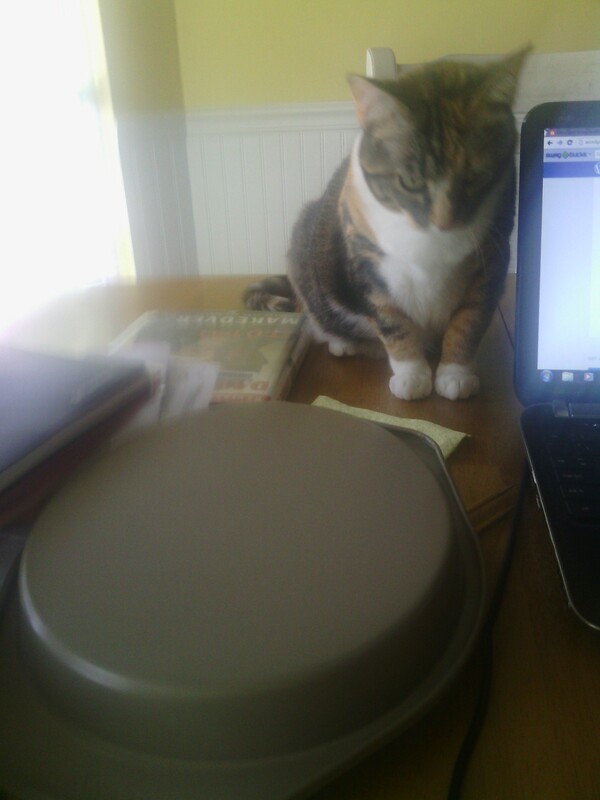 My cat, Annie, on the other hand thinks this is just marvelous! She loves to sit near me and bat at the knitting needles and yarn. I had to make her a little ball of yarn to play with so she’d leave me be. Daisy promptly stole it from her and shredded it. So, last night I put my knitting aside on the table like I’ve been doing. (My pattern is on the computer, so I just keep them together.) 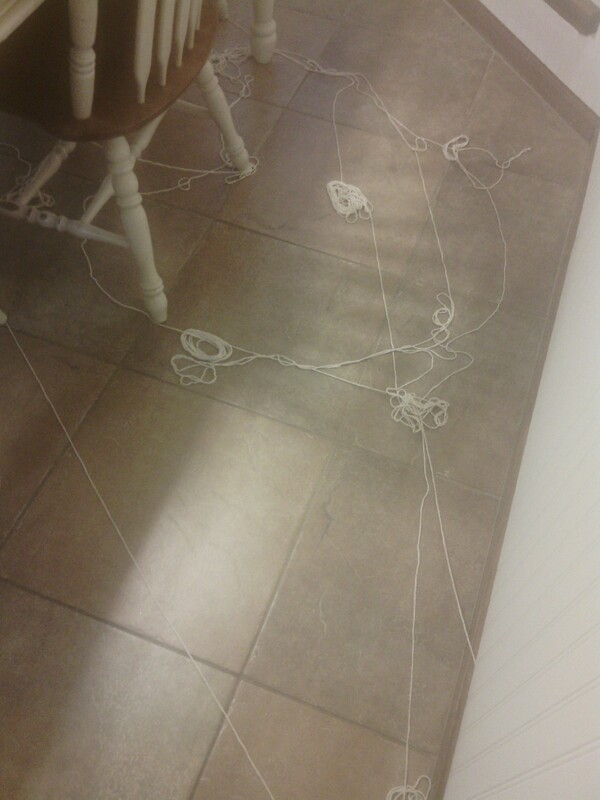 And when I woke up, I was greeted with yarn in the living room, wrapped around the coffee table. 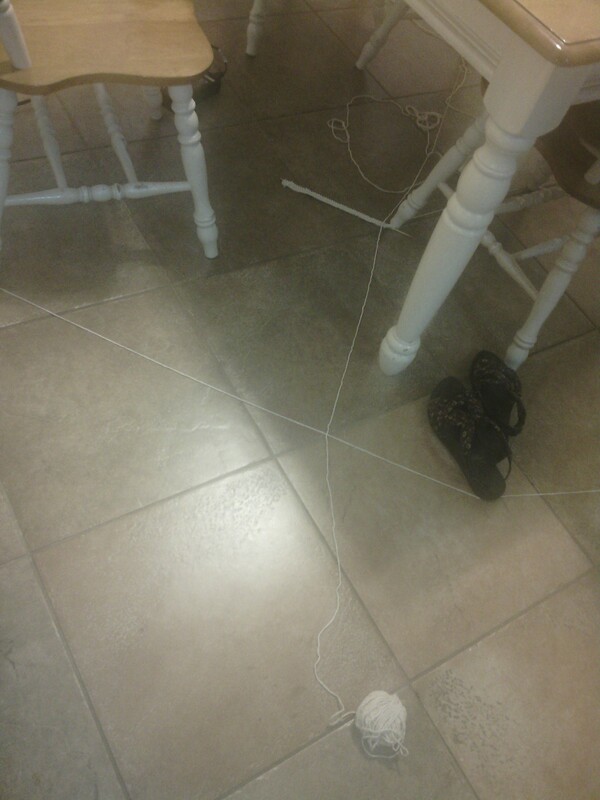 I followed the yarn into the dining room. Wow! 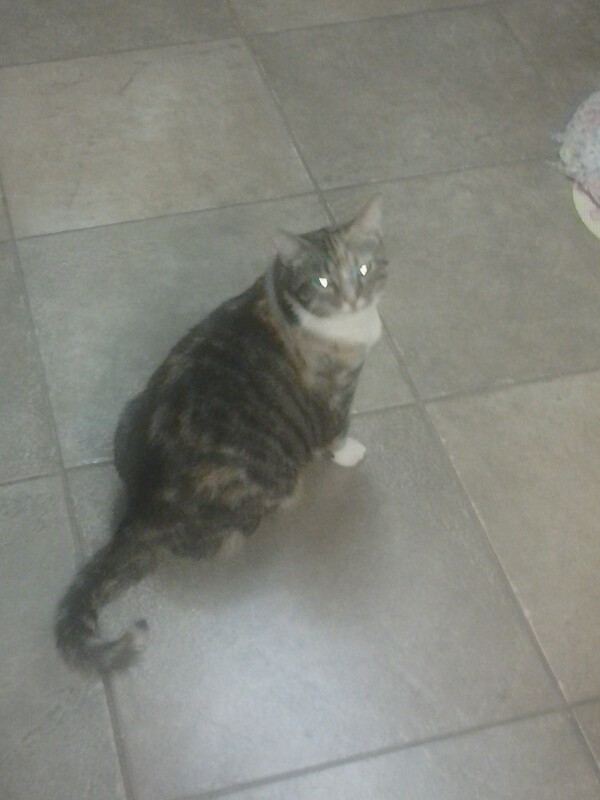 now that is an impressive display of kitty naughtiness right there. It’s hard to tell as this picture was taken on my phone, but the yarn has even gone over the rungs under one of the chairs. I thought at first that she had managed to unravel my knitting too, but I spotted the needle under the table. an overturned pie plate covers it up. Annie is looking on really irritated. Hey, she’s not even supposed to be on the table to start with! Get down!